Plants are one of nature’s greatest gifts. There’s nothing more beautiful than enhancing an outdoor space with perfectly chosen, well-manicured greenery. Our outdoor plant service in the Los Angeles area is dedicated to providing you with stunning greenery to enjoy, without the hassle of having to maintain it on your own. We’ll work with you to find the best types of plants to fit your needs and the optimal setup ─ then leave the rest to us! We follow a regular maintenance schedule so you can simply enjoy the plants, instead of adding yet another task to your busy schedule. Whether you’re looking to improve the appearance of a small space, such as a patio, or a much larger area, like a courtyard, we’re proud to provide you with top-quality plants and superior customer service. In fact, we’re so confident in the quality of both our plants and our skilled technicians, that we provide a plant replacement guarantee. If one of your plants needs to be replaced, we’ll gladly do so at no extra charge. At Superior Plantscapes, it’s our goal to provide the highest level of service at a competitive value price. 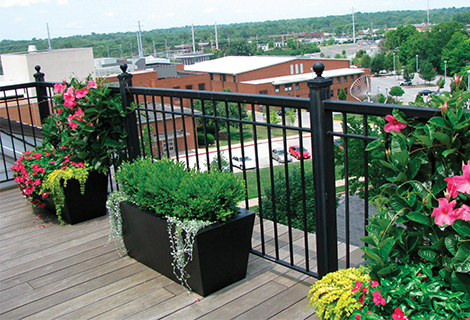 At Superior Plantscapes, we’re proud to offer our customers superior outdoor plant services. Our clients are always our number one priority, so you can be sure your outdoor space is in the hands of a company that truly cares. We know there’s a lot of outdoor plant services in Los Angeles, but we take pride in our ability to stand out from the competition. Call us today at (800) 770-0670 to schedule a consultation for your outdoor plant services.